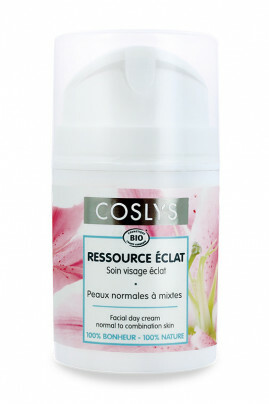 Coslys Organic Lily Skincare moisturizes normal and combination skins. Rich in smoothing Organic Sweet Almond Oil and revitalizing Organic Lily Extract, its creamy texture is a real pleasure every morning ! Protected from climatic agressions with Coslys Organic Lily Face Cream, your skin is fresh and luminous. Apply Coslys Organic Lily Skincare every morning and night on dry clean skin (face and neck), massage gently onto the skin. Coslys 99% natural face cream is so good for your skin !